Weight-raising controller for mechanical clocks. 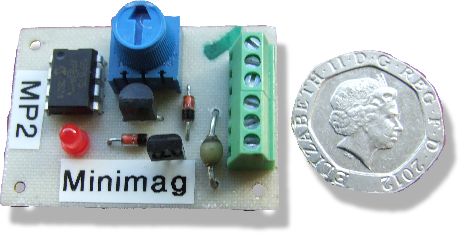 A small circuit board measuring 1.5" x 1.1" featuring operation from 4 to 20 volts and virtually zero current consumption when idle. Ideal for operation on a 4.5V or 6V battery pack. Timing variable between 1 and 25 sec. Micro-based therefore we can easily customise for specific timing or function. If ordered together with an MP2 there is no additional postage. built-in electronic switching. When a magnet approaches the top face of the device at sufficient velocity the coil is switched on for a brief period (about 5 milliseconds). Depending upon magnet polarity, either an attractive or repulsive force is applied to the magnet. demonstrating the coil in action. Dimensions 23mm diameter by 24mm overall height. Negligible current consumption when not triggered, therefore a power switch is not required. Single mounting hole in the flat base, tapped M3, also serves as the + connection. Looking for a solution to accurately drive a timekeeping pendulum? The SPC-2 has an ironless core thus it does not interfere with pendulum swing. It works down to near zero bob velocity thus very small swings are possible. Materials kit for the "Tripulse" motor as shown in our demonstration video. Everything needed to build the Tripulse except for an SPC-1. Order separately. Kit contains: High density plastic material for the base, conical spring, two ball races, spindle, CNC routed rotor made from FR4 material, solder tags, brass and aluminium barstock, screws and three 8x1 neodymium magnets. Pulse-operated. A built-in permanent magnet maintains the "pulled-in" state. Very useful where high power consumption and heating effects of a conventional solenoid are undesirable. 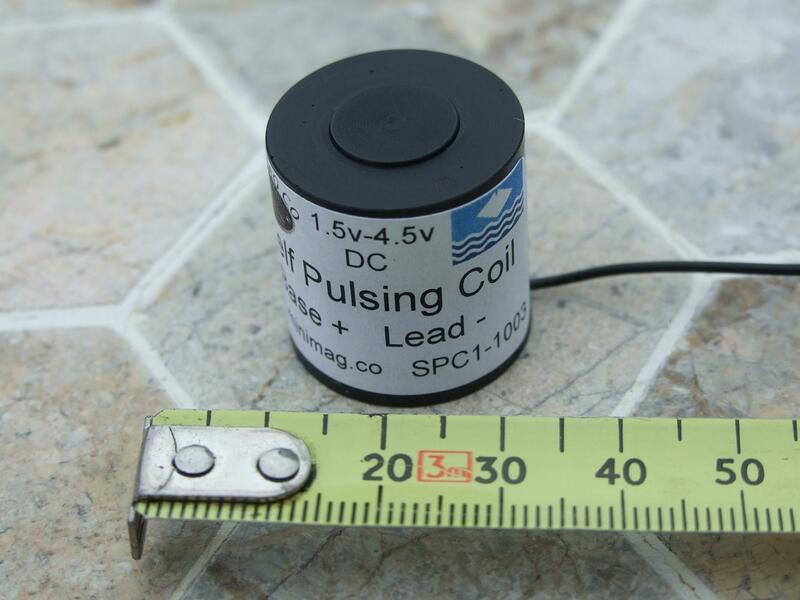 A pulse is applied to the coil, red lead positive. This causes the plunger to retract where it is then maintained in position by the built-in magnet. Applying a pulse of opposite polarity temporarily cancels out the permanent field, allowing the attached flat coil spring to release the plunger. 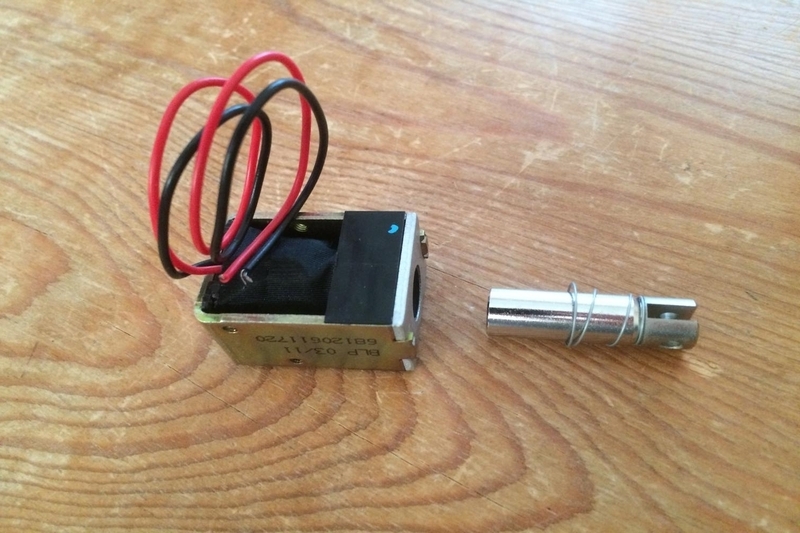 Provides reversing pulse drive for two of the above latching solenoids. Easy to use, all connections are by screw terminals plus a DC power socket. Inputs by toggle switches or push-buttons. Boards can share a single power supply. Full instructions are included. 24 volts 0.63 Amp "Plug-Top" power supply unit. Complete with UK, US and European adaptors and a standard DC output connector on a 1.5M lead. Important: Our PayPal "Buy Now" buttons calculate UK delivery charges only. Please email us for overseas rates. We take most credit / debit card orders by telephone and can usually offer a reduced postal rate on multiple items.